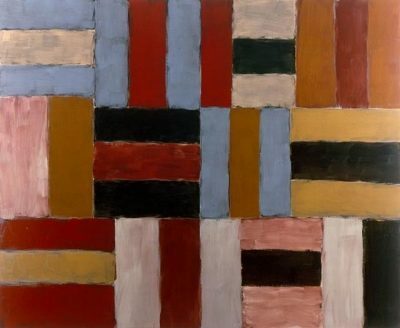 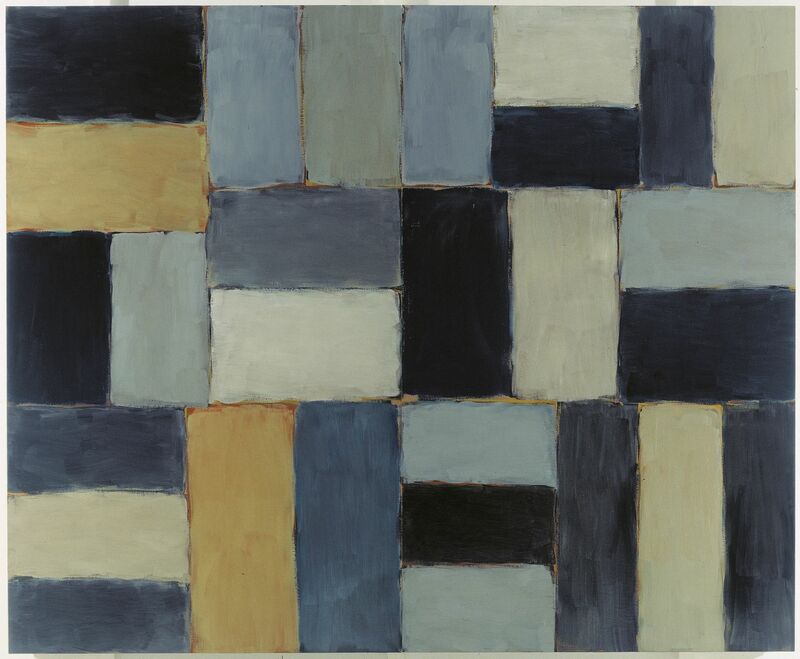 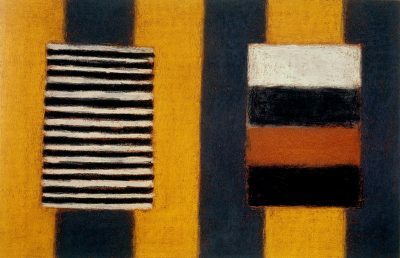 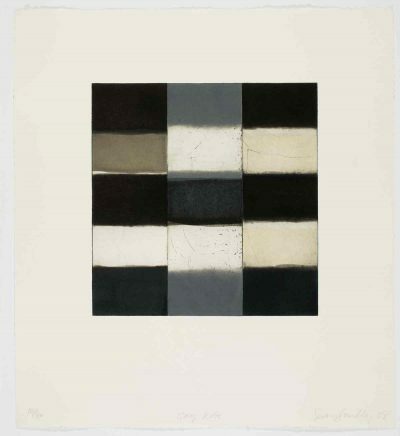 ‘Dorothy’, 2003, was painted by Sean Scully in memory of his friend, the art critic Dorothy Walker. 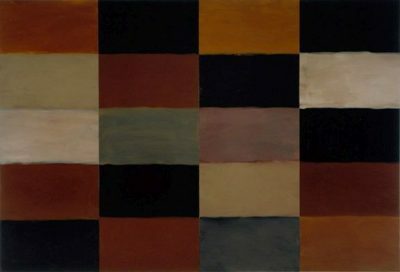 Here the colour range remains sombre and the blocks of colour are given a more democratic, egalitarian treatment. 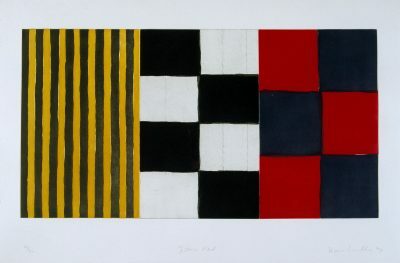 Dorothy Walker, who died in 2002, had been an energetic member of the founding Board of IMMA. 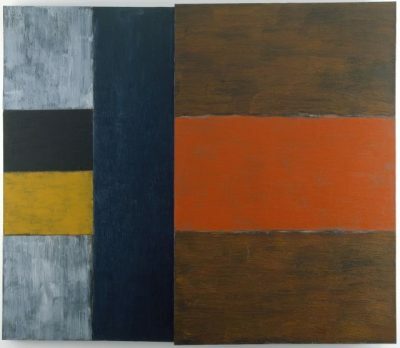 The painting was donated by her former colleague on the Board, Lochlann Quinn and his wife Brenda.